Being physically active and choosing to walk or cycle is one of the best ways to prevent or delay health problems in later life. New active travel facilities such as cycle paths, a better walking environment, green spaces, traffic management and signage will help deliver an active community that maximises the contribution of Scotland’s outdoors to a healthier Scotland. A new £15 million community hospital to service the needs of Badenoch and Strathspey is due for completion in Aviemore by 2021. The new hospital provides an opportunity to improve the health and wellbeing of residents and visitors in Aviemore. Through improved vehicular and non-vehicular (e.g. 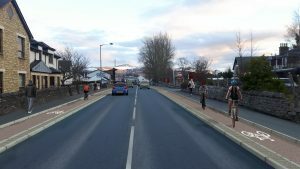 walking and cycling) infrastructure we can design an active community that not only promotes physical activity as part of normal daily life, but actively encourages us to enjoy the outdoors in Scotland’s largest national park. 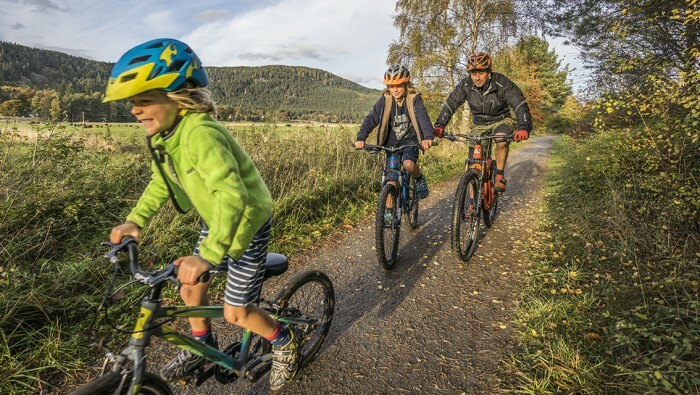 The Cairngorms National Park Authority (CNPA) is working in partnership with Aviemore & Vicinity Community Council, The Highland Council, Hitrans, Sustrans Scotland and NHS Highland to encourage residents and visitors to Badenoch and Strathspey to be more physically active outdoors. 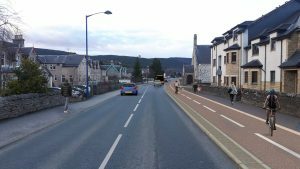 Sustrans Scotland provided £40,000 funding in 2018 to deliver an Active Travel Study for Aviemore. Download the full Feasibility Study here (PDF | 3.5MB) or jump to each chapter below. Chapter 2: Desk Top Review – The study area was subject to a desktop review of relevant existing reports, drawings and strategies. Chapter 3: Design Guidance and Standards – To establish options for the project guidance and design standards are reviewed to identify design compositions. Chapter 4: Placemaking Principles – A review of placemaking principles and how these can be incorporated in the future proposals. 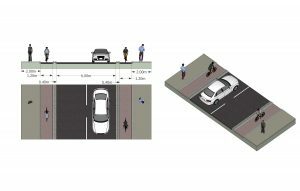 This chapter also discusses the types of features which could be included as part of the scheme to support the active travel elements of the project. Chapter 5: Aviemore Project Sections – Identification of the sections and the site review undertaken to establish opportunities and constraints. Chapter 6: Design Options – A series of options were considered and assessed against the information gathered from the desktop review and site assessment. Chapter 7: Consultation Summary – Consultation has been undertaken from the outset of the project with this summarised in the chapter. Chapter 8 Preferred Solution – This chapter presents the proposed solutions for route sections as a result of the options appraisal and various consultation and engagement. 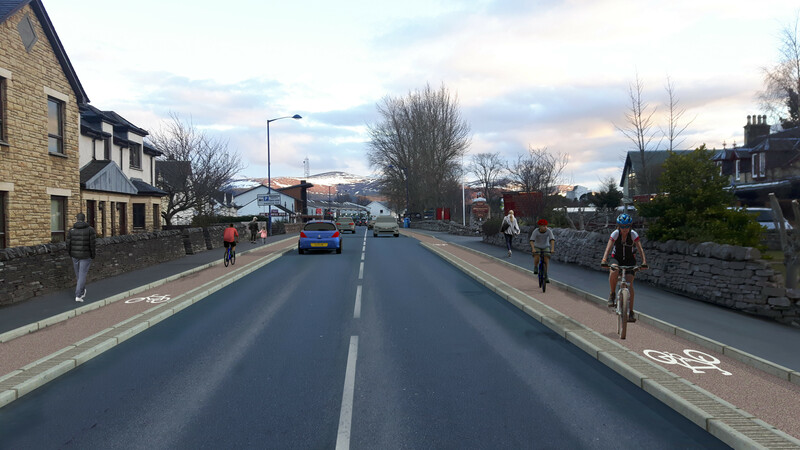 Further Sustrans funding will be sought to develop detailed final designs by end of 2019 and construct community approved street scape changes from 2020.